A stunning Adria A Class motorhome. 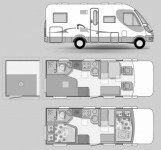 With 4 berths and 4 belted seats, featuring a rear French bed and electrically operated drop down front bed. Built on a Renault Master 2.5l Dci with Al-Ko AMC chassis. It has an upgrade plate of 3900kg and 36900 miles, with 6 speed manual gearbox. 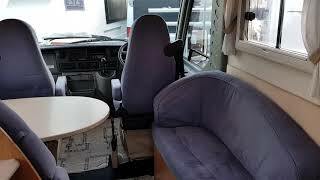 Please contact us for a personal bespoke video of this motorhome direct to your device. Supplied with a full engine & habitation service, 6 months MOT, valet, 6 months warranty and a fully working handover on collection. Please ask your sales person for further details.